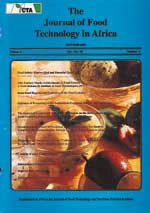 Oiye, S. O., Muroki, N. M.
Sensory Properties of traditionally-fermented buttermilk (Omashikwa) processed in Namibia. Bille, P.G., Ozuuko, A.T.R. and Ngwira, T.